Unicorns are all the rage right now. Today I wanted to provide my take on the popular animal and give y’all a freebie to play with. 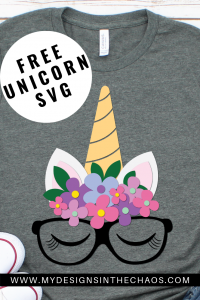 This free Unicorn SVG file has so many variations of things you could do with it the options are endless. 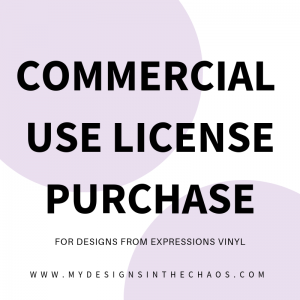 We don’t mind if you use our designs for personal or commercial use (up to 200 uses). It does need to be you in your own home making the items and not sending them off the be printed or made for you. We also don’t currently allow digitizing of our SVG designs. If you have additional questions on licensing please feel free to reach out. This unicorn face would be precious on a shirt, bag or even a pair of shoes! Want to see a super simple step by step for how to put vinyl on shoes? Check out the tutorial (with a video) here. PLEASE NOTE THAT THERE ARE AFFILIATE LINKS IN THE POST. THIS MEANS AT NO EXTRA COST TO YOU WE EARN A SMALL COMMISSION WHEN YOU SHOP THROUGH OUR LINK. This design has tons of layers in the flowers. We show exactly how to layer HTV here and if you aren’t sure what HTV is… check out this post. One thing I do love about this design though is that you can create it so many different ways. Glasses, No Glasses, Flowers, No Flowers and every combo in between. Also, we would greatly appreciate it if you would take a moment and pin the image above before you download the file below. That helps us continue to serve our crafting community. Thanks for being here and we can’t wait to see what you create. The greatest compliment you can give us is to send a friend our way. (please don’t distribute this file on your own) ‘Til next time happy crafting, cutting, and chaos! Love, love, love this unicorn!!! !